More than 2,000 bulk litres of alcohol was seized on election eve, by the state excise officials in a raid at two establishments in and near the state capital. PANAJI: More than 2,000 bulk litres of alcohol was seized on election eve, by the state excise officials in a raid at two establishments in and near the state capital, Chief Electoral Officer Kunal said late on Friday. While 1,422 bulk litres was seized from Hotel Volant Holiday Home in Betim, a Panaji suburb, 972 bulk litres of alcohol was seized from Casa Barretto, a hotel located in the state capital. "Cases have been booked under the Excise Act," the official said. 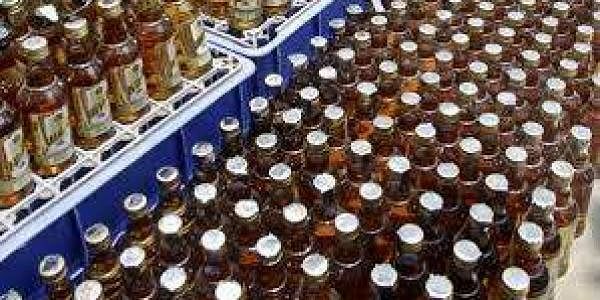 The value of the seized liqour is estimated to be approximately Rs 16.57 lakh. Elections to the state legislative assembly will be held in Goa on Saturday.